Here are nine places to submit your stories right now. Get a head start on your 2016 submissions! We are especially seeking work from new and diverse voices. To get a sense of what the editors are looking for, please read our online issues, sample content from our print issues, or order an issue. 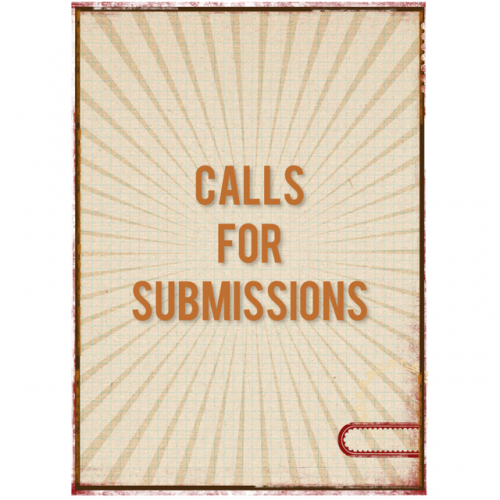 *Simultaneous submissions are welcome, provided that you notify us immediately if your work is accepted elsewhere. The Indianola Review is reading Poetry, Nonfiction and Fiction for our March issue. We’re a very writer-friendly journal, and our Duotrope numbers reflect our commitment to speedy response times (11-day average). We send out personal replies when we can, pay our contributors (token for now, but we’re working on it), nominate for Pushcarts and other major awards, and publish in handsomely-formatted print editions. We typically receive literary fiction, but we LOVE well-wrought genre fiction of all types and will consider it “literary” if it’s great—snobs be damned. This Week Only: FREE 48-hr VIP Response Times on all Poetry Submissions! Expires Friday at5pm CST. Our flash fiction contest, guest judged by David James Possiant, is a great chance at $1,000, as well, especially considering our relatively small contest submissions pool, to date. Like us on Facebook (https://www.facebook.com/IndianolaReview) or Twitter (@IndianolaReview) and enter your username as your Promo Code for $5 off your entry. Check us out at http://www.indianolareview.com/ or submit: https://theindianolareview.submittable.com/submit. We are an environmentally conscious journal and only accept submissions through Submittable. Format and Length. Poetry: Submit 1-3 original, unpublished poems, in a single document, each poem on a separate page, no longer than 10 pages total. Short Fiction: Submit 1 story, no longer than 5000 words. Creative Nonfiction: Submit one essay, no longer than 5000 words. Photography: Submit 1-3 photographs, black and white only. Unclassifiable: No longer than 2000 words. You are welcome to submit more than once, but each submission must be a separate file uploaded to Submittable. Do not put your name or any other identifying information on the document that holds your submission. Do not include your name in the file name for your submission. We follow a “blind” reading system: our editors read all submissions without knowing who wrote them. Use Times New Roman 12 pt. for the text of your submission. Single-space your poems; double space between stanzas. Double-space prose manuscripts. Include a 60-word bio written in third person, providing specific information about your writing life and your previous publishing credits. No previously published work — print or online — including work posted on personal websites or social network websites. If your work can be found searching Google, we consider it published. If you have questions, please visit our website, conclavejournal.com, or email kbernhardt@conclave.com. Acceptance for publication conveys First North American Serial Rights, first-print publication rights, and the right to post work accepted for publication on the Conclave website. Rights revert to the author upon publication. Payment is one contributor’s copy of the anthology plus a small fee ($5 for poems and photography, $20 for fiction and non-fiction). Lockjaw Magazine is currently accepting submissions for its THIRD issue! YES! We’re a biannual online journal publishing literary ephemera, visual art, music, and video. We like your strange, your uncertain, your prophetic and visionary. We have a preference for shorter work, though we read everything we get, and we’re primarily interested in poetry and prose (sorry, nonfiction). Submissions are open through Dec 1. Please visit our website–http://www.lockjawmagazine.com–for detailed guidelines and to check out our previous issues to see if we’re on each others’ level. Or throw caution to the wind and send your stuff to submissions(at)lockjawmagazine(dot)com. But yeah, read the guidelines first. Not only is it the right thing to do, they’re kind of funny (we also do things a little differently than lots of journals, and we don’t want you to be surprised). Lockjaw Loves You, And Would Like To Hear From You Soon. Kleft Jaw Press is taking submissions for issue nine! This is the final issue of klassic Kleft Jaw, next year big changes are in store but in the mean time: one final issue. Send in poetry and very short fiction/ non-fiction/ essays/ prose to kleftjawATgmailDOTcom. Up to 3 poems or 5000 words. Subject line should include KJ9 and submission, genre and your name. Put everything in the body of your email please. We’re taking submissions through December 15th! Much like the Greek Klefts exploited by the ancient Ottoman Empire, we at Kleft Jaw seek to transcend the current reality of modern poetry/prose. We simply cannot believe, will not believe, will not lie & say there are limitations to the human consciousness. There is a magna-force of possibility, teeming inside all of us, and that’s why we exist- to invoke the transcendental realist spirit in contemporary writing- to establish a new aesthetic, to make words dangerous again.The Klefts spent their days fighting and robbing the wealthy Turks. Their nights were spent leaping around the fire, reciting poetry in celebration of the freedom they found in their hills away from the empire.Like the Klefts, we plan to fight for and celebrate our freedom. Send us your battle cries, your barbaric yawps, your rebel songs, and your love songs. Marathon Literary Review is accepting submissions until 11/30. We accept art, fiction, flash fiction, nonfiction and poetry. Hartskill Review is looking for poetry submissions for its Winter 2015 issue due out in December. Open to long poems. Submit 1-3 poems at a time. Gather your submission into one file. Poems should be single spaced on the page. Submit rich, complex, and ambitious poems that reward repeated readings. Submit poems that mean something to you and stand a chance of meaning something to others. Simultaneous submissions are okay (but please send notice if accepted elsewhere). Please include a short biographical note about yourself and your work. Hartskill Review is a print journal. No submission fee; pays one contributor copy. Responds in 1-4 weeks. See our current online writing challenges and workshops in Los Angeles here. Los Angeles Writers Group has no relationship or affiliation with, nor control of, the poster nor is LAWG responsible for the accuracy of the information presented or for any outcome resulting from contact between our members and the poster. LAWG posts this call/information as a courtesy to our members only. Have a call for submissions? Submit it here. 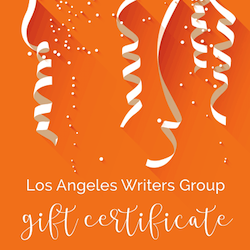 Text us at (323) 963-3180 or Call us during business hours at 1-323-963-3180 or click here to email us at lawritersgroup@gmail.com. Workshop addresses vary by workshop. 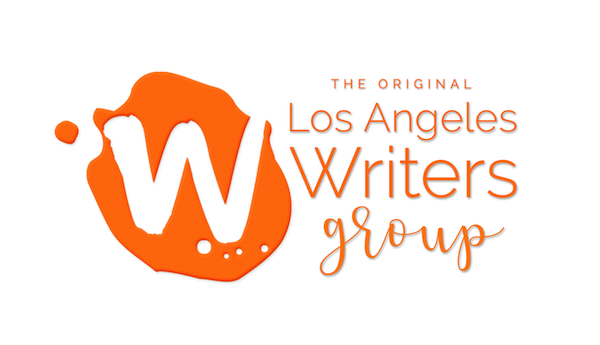 Copyright © 2019 Los Angeles Writers Group - LOS ANGELES WRITERS GROUP and the accompanying logo are trademarks of LAwritersgroup.com.